The contract would allow oil exporting nations such as Russia, Iran and Venezuela to conduct sales in yuan, instead of in U.S. dollars, and to then change the yuan into gold on both the Hong Kong and Shanghai exchanges. This would also allow these countries which often fall afoul of American foreign policy to circumvent dollar-based U.S. sanctions. The Chinese government has been developing the gold-backed futures contract for years, and Oilprice.com reports that it is expected to launch this year. It will be China’s first commodities futures contract available to foreign entities, and analysts expect many oil-exporting nations and firms to find it appealing. Leaders of oil exporting nations, such as Russia, Iran and Venezuela, have often expressed desires to bypass the U.S. dollar. But avoiding the greenback has proved challenging, largely due to the size of America’s economy, the dominance of U.S. markets, and the momentum of longstanding global finance practices. 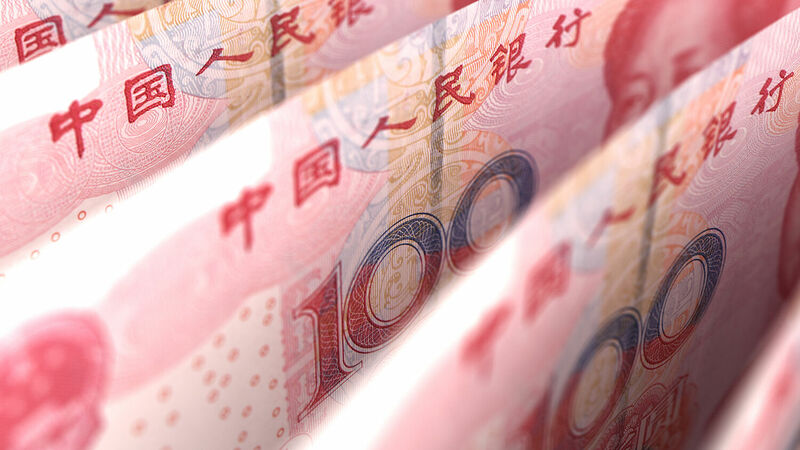 As much as these nations would like to close the curtain on the U.S.-dominated economic order, the Chinese yuan and other currencies have not garnered enough international confidence to be viewed as trustworthy alternatives. But China’s new futures contract allays those fears by making the yuan currency fully convertible into gold. This bypassing of the U.S. dollar would be a win for China and many oil exporters. For the American economy, it could represent a catastrophic loss. The widespread conversion of these petrodollars into U.S. Treasuries has been a vital artery for the American economy and has helped to finance the nation’s vast deficit expenditures. The Chinese contract could dry up the flow through that artery, withering or possibly even severing it. After such a reintroduction of the precious metal into the world system, the anemia of America’s fiat currency would contrast starkly with the ruddy currencies of economies that are healthier and/or backed by something besides consumer confidence. This would rapidly fade the dollar’s global reserve currency status. A Bolt From the Blue in the Middle East? The appeal of the new Chinese futures contract may go beyond the usual suspects on the list of American adversaries. Back in July, the Trumpet called attention to reports saying that China would become the main investor in the forthcoming initial public offering of Aramco, Saudi Arabia’s state-owned oil company. At around $2 trillion, Aramco will be the highest-valued firm on the globe. If this sale goes through as planned, Macleod said the Chinese would be in a position to switch the pricing of Saudi oil from usd to yuan. “[I]f China can tie in Aramco, with Russia, Iran et al., she will have a degree of influence over nearly 40 percent of global production, and will be able to progress her desire to exclude dollars for yuan,” Macleod said. Such a dramatic and unexpected shift by Riyadh would erode not just the power of the American dollar and petrodollar, but also the very foundations of the U.S.-Saudi Arabia relationship. Whether the Saudis sign up for the Chinese futures contract or not, the development is expected to be a game changer for the global oil industry. For five decades, the Trumpet and our forerunner magazine the Plain Truth have warned that a catastrophic financial crisis centered in the U.S. will send deep reverberations across the planet and contribute to a fundamentally altered geopolitical landscape. In 1968, Plain Truth editor in chief Herbert W. Armstrong discussed the dire economic conditions that would afflict America in the end time. “If the dollar is devalued, inflation will almost surely result,” he wrote, “and eventual economic collapse for the United States” (co-worker letter, March 26, 1968). Trumpet editor in chief Gerald Flurry has also written in his booklet Isaiah’s End-Time Vision about the nations of Asia working in conjunction with European states to block the U.S. and Britain out of world trade. “[W]e believe there may be a brief alliance between the German-led Holy Roman Empire and certain Asian powers (Russia, China, Japan—the kings of the east),” he writes. This prophecy is based on specific Bible passages in Ezekiel 5 and 27, Isaiah 22 and 23 and Revelation 18, and is thoroughly explained in Mr. Flurry’s free books Isaiah’s End-Time Vision and Ezekiel: The End-Time Prophet. If China’s new oil futures contract succeeds in pushing oil-exporting nations away from the dollar and toward the gold-backed yuan option—as numerous experts believe it is certain to do—this development will precipitate the dollar’s demise and set the international stage for this prophesied siege to take place. Bible prophecy makes clear that this will lead immediately into a time of unprecedented destruction and devastation for the U.S., Britain and Israel, and that those flames will soon spread to engulf the whole world. But there is some spectacularly good news connected to that looming crisis! Mankind will survive. Jesus Christ will interrupt that global conflict and usher in a golden age that will saturate all countries of the world with stability, peace and prosperity. He was born to be King of kings in that future world government (Luke 1:30-33; John 18:36-37; Revelation 19:11-16). And its establishment is now just on the horizon. To understand more, please order a free copy of Isaiah’s End-Time Vision.